For 150 years, groups of musical Middlebury College students, faculty and staff have been joined by singers from all over the Champlain Valley in the school's Community Chorus. That might sound like a long time, but it's just a drop in the cosmic bucket compared to the subject of an upcoming performance. This year, as part of the Community Chorus' annual Thanksgiving concert, the group will sing about nothing less than the creation and history of the entire universe. The Emergent Universe Oratorio, from which the chorus will perform several sections, was created by Vermont musician and composer Sam Guarnaccia. Drawing upon, among other inspirations, the writings of environmentalist Wendell Berry and cosmologist Brian Swimme, Guarnaccia's oratorio is a sweeping, epic, thoughtful composition. 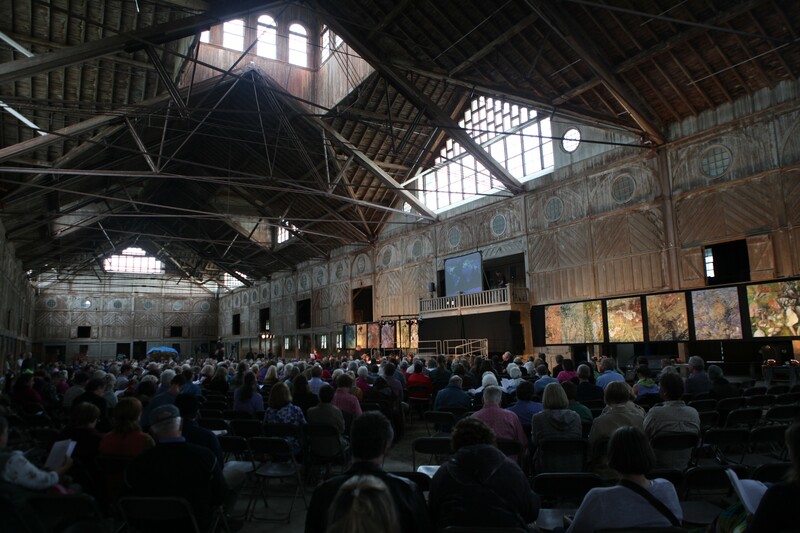 The piece premiered in September 2013 in a suitably spectacular venue: the gigantic Breeding Barn at Shelburne Farms. The oratorio — whose subject matter is the interconnectedness of humanity and the cosmos — has not been performed since its premiere more than a year ago, during which interval Guarnaccia has been busy revising both the music and the libretto. 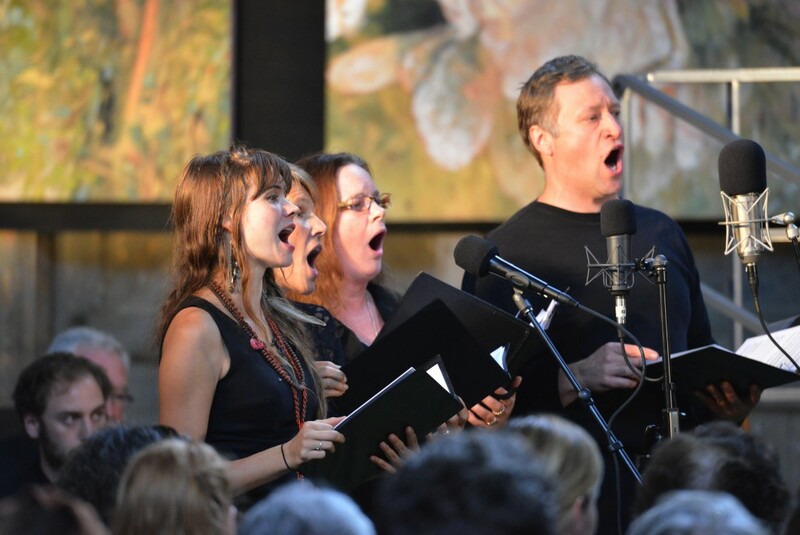 The Emergent Universe Oratorio, the centerpiece of the concert, shares the themes of creation and wonderment with the show's other vocal works. Guarnaccia, who resides in Middlebury, joins some elite compositional company on the chorus' program: The 90-member group will also perform selections from Joseph Haydn's oratorio The Creation, George Frideric Handel's choral composition Chandos Anthem No. 6, and the late American folksinger laureate Pete Seeger's arrangement of the traditional song "To My Old Brown Earth." Guarnaccia emails that he is optimistic the oratorio will soon be performed in Princeton, N.J., at which event he hopes to make a "definitive recording" of the piece. Until that time, local music lovers can visit Middlebury for a rare opportunity to hear this one-of-a-kind musical work. The Middlebury College Community Chorus' annual Thanksgiving concert, Sunday, November 23, 3 p.m., Mead Memorial Chapel at Middlebury College. Free.